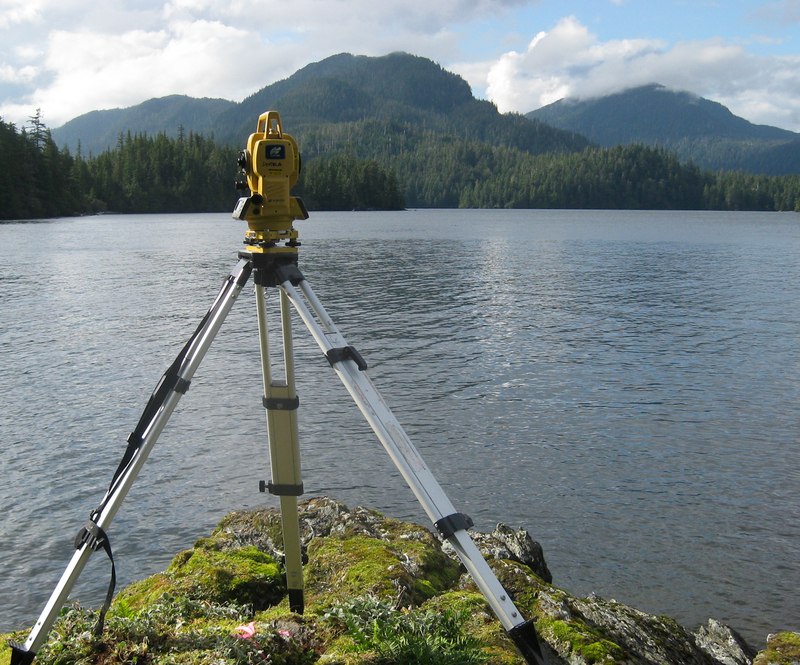 In 2009 Sentec entered into a contract with Huna-Totem, a Southeast Native corporation, to complete the final surveying of their lands and those of Kootznoowoo Corporation also located in Southeast Alaska. The project was located on Prince of Wales Island in Hoonah, Tenakee Springs, and Cholmondeley Sound. Challenging field logistics required transportaion by helicopter, fixed wing aircraft, boat and 4-wheeler. Sentec surveyors recovered 70 existing BLM corners and set 120 new original BLM corners by using a combination of Static GPS for final positions and RTK positioning for establishing corner positions. Where necessary, surveyors used conventional survey methods to run boundary lines and establish temporary positions from which the final monuments were set. In Hoonah, which had been logged in the past, approximately 20% of the monuments were gone or lying on the ground. In most cases Sentec reestablished the monuments using record bearing object information and the found bearing objects. In 80% of the corners surveyors were able to directly occupy the recovered monument with the survey grade GPS receiver and establish positions for the corner.